The multilamellar liposomes boost your skin’s moisture content, ceramide strengthens the barrier function of the skin’s upper layer and allantoin and provitamin B5, vitamin E and vitamin C protect and replenish your skin. 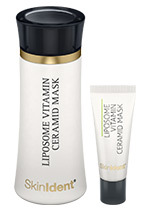 Skin appears visibly firmer. This valuable mask contains everything your skin needs. Pamper your skin with this exceptional mask on a regular basis.